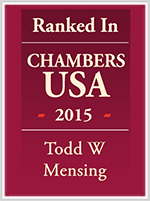 Todd W. Mensing focuses on complex commercial litigation. He is Board Certified in Civil Trial Law by the Texas Board of Legal Specialization, a distinction reserved for Texas trial lawyers with a high degree of trial experience and expertise. During the last ten years, an average of fewer than ten attorneys per year statewide has earned the distinction. He is recognized among the top lawyers in the nation for commercial litigation and construction litigation in The Best Lawyers in America. 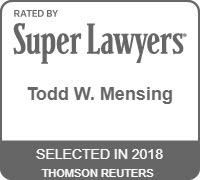 Todd is also recognized in the area of Texas General Commercial Litigation in the 2014-2018 editions of Chambers USA: America’s Leading Lawyers for Business published by London-based Chambers and Partners. 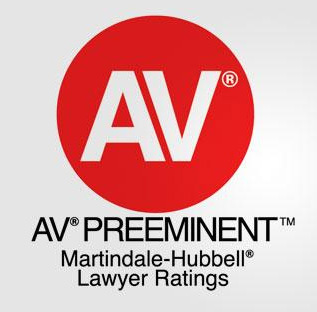 He earned the highest possible AV Preeminent rating based upon peer reviews from Martindale Hubbell. He has also been elected to the prestigious American Board of Trial Advocates (ABOTA), an elite group of the country’s leading trial lawyers. 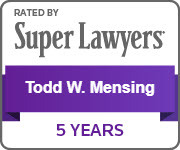 Todd has tried cases in virtually every arena, including in the areas of complex commercial litigation; intellectual property and trade secret disputes; executive employment claims; catastrophic personal injury cases; as well as white collar criminal defense matters. 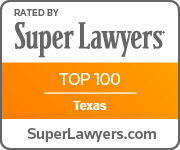 Todd has been named one of the top 100 lawyers in Texas and Houston on the annual Texas Super Lawyers. He was put on the Super Lawyers list in only his fifth year of practice and was one of the youngest attorneys in Texas to be named to the list. Prior to joining Ahmad, Zavitsanos, Anaipakos, Alavi & Mensing P.C., Todd graduated with honors and in the top ten percent of his class at the University of Texas School of Law. He obtained his undergraduate degree with honors from Stanford University. • Obtained a defense verdict for a Houston petrochemical inspection company in a two-week $10 million trademark infringement jury trial. Todd also convinced the jury to invalidate the trademark on which the plaintiff had sued the client. • Won a defense verdict in a four-week $50 million theft of trade secrets jury trial. Todd stepped in as lead counsel one week before trial. • Won a jury verdict for an industrial gas company in a three-week multimillion fraud and breach of contract trial. Todd’s cross-examination of the opponent’s expert ended with the witness admitting he was not, in fact, an expert. The jury rejected the plaintiffs’ claims, awarded the client millions of dollars on its counterclaims, and the Court issued a permanent injunction against the plaintiff. • Obtained a defense verdict in a two-week trial for a national fuel marketing company sued for millions of dollars for breach of a trucking contract. Todd took over the case as lead counsel shortly before trial. • Achieved a plaintiff’s verdict against a newspaper in a two-week trial that included $1 million in punitive damages. The verdict represents one of the largest defamation verdicts against a newspaper in Texas history. • Won a plaintiff’s verdict in a four-week trial relating to the negligent manufacture of components for a start-up aftermarket automobile technology company. • Obtained a defense verdict in a partnership dispute relating to the parties’ entitlement to partnership proceeds. • Won a bench trial and obtained an injunction for the client against a competing drilling company that shut down the competitor’s manufacture of infringing technology. • Achieved a walk-away settlement for a Houston-based midstream energy company in a $100 million breach of contract lawsuit related to the operation of an offshore pipeline system. • Obtained a $25 million settlement for an upstream natural gas company in a breach of contract and fraud lawsuit against a joint venture partner. • Achieved summary judgment for a national aftermarket auto parts manufacturer in a fraud lawsuit where the plaintiff sought millions. • Achieved a walk-away settlement for a multinational mid-stream energy company in a $30 million indemnity dispute relating to environmental contamination. 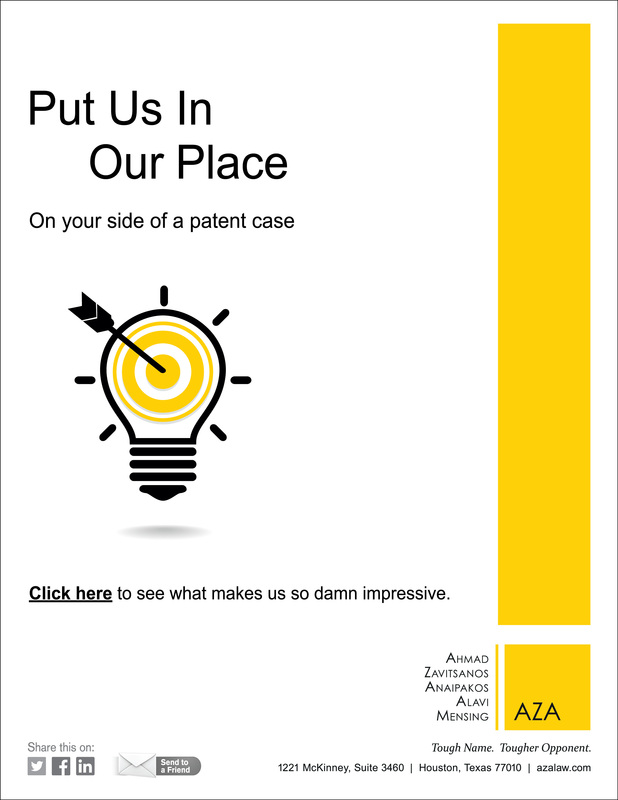 • Defended a $40 million patent infringement suit related to oilfield logistical technology. The plaintiff eventually dropped the client from the case without the client making a settlement payment. • Successfully represented a client investment company responding to a wide-ranging SEC investigation. At the end of the nearly year-long inquiry, the SEC terminated the investigation without bringing an enforcement action against the client on any claim. • Achieved a $10 million settlement, plus dismissal of counterclaims for tens of millions of dollars, for a minority shareholder of a multibillion dollar closely-held company in a breach of fiduciary duty dispute. • Obtained a $10 million settlement in a mineral lease dispute in South Texas for a publicly-traded exploration company. • Successfully defended an international energy services provider in a $50 million arbitration. Todd took over the case from prior counsel, which had lost summary judgment rulings on $25 million in claims prior to Todd being hired. Todd developed new defenses which nullified the prior rulings. The case settled favorably a week before the final hearing. Won a defense verdict in a two-week jury trial against an international bank relating to the ownership of a property worth several millions of dollars. Todd took over the case from prior counsel shortly before trial. Obtained a defense verdict in a three-week jury trial for a downtown Houston hotel in a commercial real estate dispute. The jury rejected the plaintiffs’ claims for millions in damages and awarded the client its full damages and punitive damages as well. Obtained a $30 million judgment for an international terminal and distribution company related to the construction of a subsea pipeline in the Caribbean. Obtained a dismissal of a bet-the-company real estate lawsuit that included issues of first impression under new Texas legislation. Defended a national pipeline company where the plaintiff contractor alleged the client owed it more than $20 million for construction work. The case settled for less than two percent of the plaintiff’s demand. Obtained a nuisance value settlement for a multistate Houston real estate developer in a breach of contract suit where the plaintiffs sought $30 million. Defended a prominent government body against a plaintiff contractor alleging violations in the award of a large construction contract. Todd took over the case from prior counsel. The case settled for less than one percent of the plaintiff’s alleged damages. Drafted and advised on nine-figure construction contracts for an international energy company for construction of refinery facilities. • Obtained a defense verdict for the Chief Financial Officer of a publicly-traded company in a two-week breach of fiduciary duty trial. • Achieved a plaintiff’s verdict for an executive of a seismic equipment manufacturer. The verdict was the second-largest employment verdict in Texas that year. • Won a bench trial for an oilfield services company and its executive in a non-compete and trade secret action brought by a rival. • Prevailed in numerous bench trials and obtained injunctive relief or defeated injunctive relief applications arising out of non-competition, non-solicitation, and confidentiality agreements in several industries. • Achieved a plaintiff’s verdict against a Houston physician’s group for engaging in disability discrimination against a member of the practice. • Defeated a California wage and hour class action on summary judgment where the alleged class damages totaled eight figures. • Prevailed in a collective action arbitration on behalf of Houston Police Department members against the union and the department itself relating to department-wide compensation claims arising out of the parties’ collective bargaining agreement. • Won dismissal of a prevailing wage class action in New Jersey federal court seeking years of back wages from the client, a national specialty maintenance provider. • Obtained dismissal of eight-figure False Claims act against a Houston-based medical group. • Achieved nuisance value settlement of one-tenth of one percent of the alleged class damages in a national overtime class action. • Currently defending several wage and hour class actions on behalf of national and multinational companies in venues across the country. • Represented the entire departing executive team with claims totaling over $25 million against their prior company, a national oilfield equipment manufacturer. The matters settled on confidential terms. • Spearheaded investigations for national and multinational companies on a variety of subject matter relating to conduct of the company and its officers. Obtained a defense verdict for a drug provider alleged to have caused long-term injuries by providing the incorrect drug to the plaintiff during her medical care. Achieved a defense verdict for a Houston medical group in a malpractice trial in which the parents of the child patient alleged that negligent care resulted in severe and long-term injuries. Defended an international specialty gas company before OSHA relating to a plant explosion that resulted in catastrophic injuries and death. After a six-month investigation, OSHA did not issue the client a single citation. Obtained summary judgment for an industrial tool supplier in a catastrophic burn injury case. Obtained dismissal of wrongful death lawsuit after establishing the plaintiffs’ claims were barred based on preemption. Currently representing numerous Fortune 500 companies in wrongful death and catastrophic personal injury matters across the United States. Defended an international pipeline company in a $100 million contamination suit brought by the State of New Jersey. The State released the client for less than one percent of its original demand. Defended a gas storage company in a $50 million environmental mass action. Residents of a Montana city accused the client, along with several other defendants, of polluting the city’s water supply over a period of years. The client contributed less than two percent of the settlement payment with no ongoing remediation obligation. Obtained summary judgment on a $10 million qui tam action brought by the former employee of an offshore platform operator alleging illegal releases. Represented Harris County in a lawsuit against foreign downstream energy companies that resulted in historic fines and groundbreaking concessions requiring that Harris County receive notice of pollution events. Currently representing an international fuel terminal company in multidistrict litigation in which the Commonwealth of Pennsylvania alleges widespread MTBE contamination of its waters. Successfully represented a Texas man being prosecuted for capital murder. Prior to this trial, the district attorney’s office had a 75-0 record in capital murder trials. After the week-long trial, the Court declared a mistrial based on the jury being deadlocked after two days of deliberations. At the time of the mistrial, the jurors (including the alternate) were split 8-5 in favor of a not guilty verdict. Following the trial, the State dropped all charges against the client and released him from custody. Achieved a not guilty verdict for a Texas man falsely accused of continuous abuse of a family member over several years. The client faced a sentence of 25 years to life in convicted. Obtained not guilty verdict for a Houston university professor prosecuted for allegedly sexually assaulting a female student. The all-female jury acquitted the client after two hours of deliberations. Achieved not guilty verdict for an employee of a Fortune 100 company prosecuted for engaging in an embezzlement scheme. The client had given three separate confessions to authorities. Todd established the confessions were coerced and false. Won a jury verdict for the mother of a minor child in a two-week child custody jury trial. The Court-appointed attorney representing the minor child, as well as the father of the child, sought to divest the client of custody rights. The client nevertheless prevailed on all issues. Todd stepped into the case ten days before trial. Todd was born in Modesto, California. In 1994, he earned a B.A. in English, with Honors, from Stanford University. In 1999, he graduated from the University of Texas School of Law, where he was a four-time recipient of the Dean’s Achievement Award. 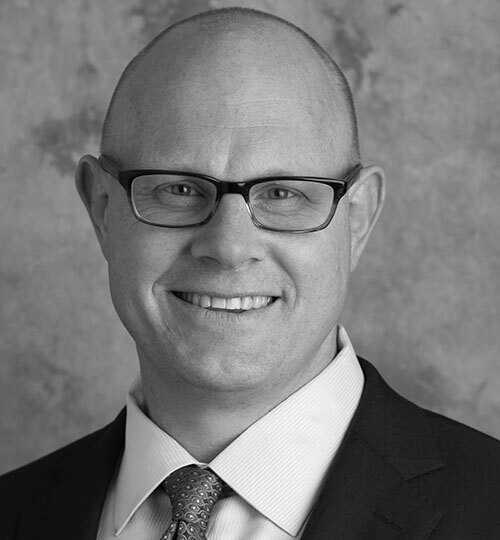 After graduating from law school, Todd began his career in the litigation section of Vinson & Elkins, L.L.P. In March of 2001, he joined AZA.